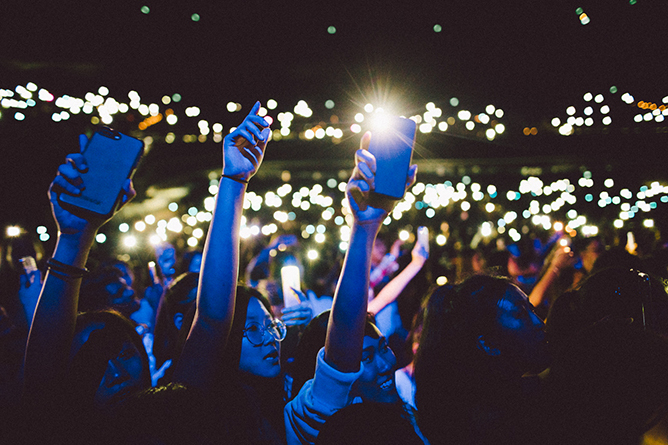 As part of the YOUTHx festival, the annual extravaganza wrapped up on a high note with Hyperplay 2018 at the Singapore Indoor Stadium – headlined by international artistes such as CL, Alessia Cara, Nick Jonas as well as our very own The Sam Willows. With such an impressive gathering of big-name acts, what could go wrong? Well, plenty. A broken leg, mic issues, body-shaming trolls… you name it. But despite the hiccups along the way, it didn’t stop our stars from delivering a solid show. What ensued was a heartwarming outpour of support from the crowd that truly brings out the spirit of our youth community. 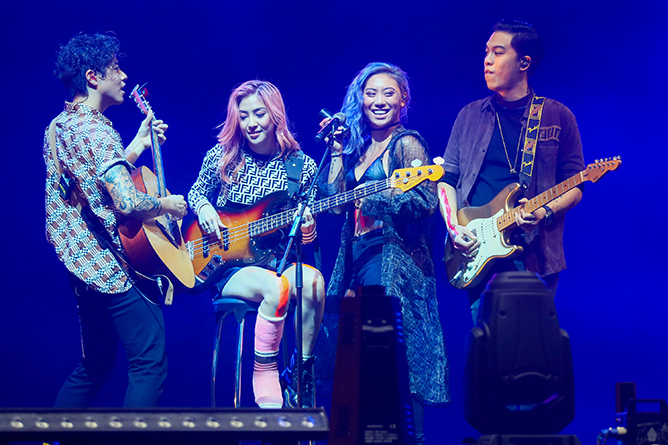 In the span of their career, homegrown quartet The Sam Willows has accomplished many things – from releasing hugely successful albums, to headlining at major festivals around the world. And our local darlings can now add another milestone to their name with Hyperplay, being the first performers to kick off the highly-anticipated event. They certainly didn’t come empty-handed, as they treated us to a medley of their biggest hits including ‘Take Heart’, ‘All Time High’ and ‘Papa Money’. What really impressed us however was Narelle, who braved a leg injury to stand on stage. At some point, the pink-haired badass even tried to take part in the choreography with the help of the other members. Major respect! CL was clearly the buzz of the night, for good (and bad) reasons. While en route to Singapore, the former 2NE1 member was captured at the airport looking like she packed on a few pounds – which is deemed as ‘unacceptable’ in K-pop standards where idols are expected to have stick-skinny bodies. Unsurprisingly, it wasn’t long before CL made headlines for her sudden weight gain. But we can’t help but wonder, what’s the big deal? We don’t know about you, but we think our resident Baddest Female looks just as gorgeous and confident with a chubbier bod. And she clearly embraces her larger frame, putting her newfound curves in full display as she booty-popped and twerked her way through an electrifying 13-track set. Blackjacks and GZBs in the audience were also nothing but supportive, enthusiastically swaying and crooning along to her familiar hits which included a couple of nostalgic 2NE1 throwbacks like ‘Can’t Nobody’, ‘Falling In Love’ and ‘I Am The Best’. There’s nothing more frustrating for a singer than having to deal with a faulty mic, especially at the start of your performance. But Alessia Cara handled it like a true professional, determinedly singing into the mic and hyping up the crowd while waiting for the music to come on. She was quickly ushered away shortly after, before bouncing back on stage as if the technical mishap didn’t just happen. The party was just getting started! And if there’s anyone who knows how to have a good time, it’s Nick Jonas. 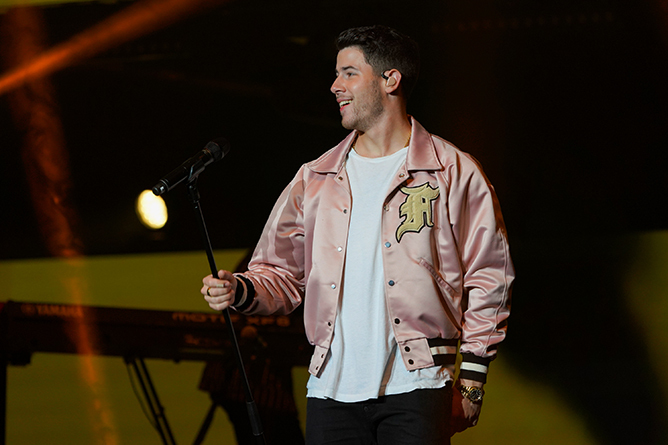 Bursting on stage in a rad pink bomber, the American heartthrob thrilled fans with a killer repertoire of sizzling pop numbers including ‘Chains’, ‘Levels’ and ‘Jealous’. Just when we were about to get fully immersed in his charms, a little bird told us that a certain Bollywood diva was somewhere in the front rows cheering on her beau – and it was honestly the cutest thing ever. Although we didn’t manage to find Priyanka Chopra in the crowd, eagle-eyed fans spotted the newly-engaged lovebirds snuggling up at a nightclub after the show. Aww! What was your favourite moment of the night during Hyperplay? Tell us in the comments below! Reveluvs Alert: Red Velvet Will Be Bringing Their REDMARE Concert Tour To Singapore! K-pop girl group Red Velvet is no stranger to our sunny island, having performed in Singapore previously for the Shilla Beauty Concert last November. Local Reveluvs have been patiently waiting for the quintet to hold their own solo concert here, and it seems like their wish will finally be granted. 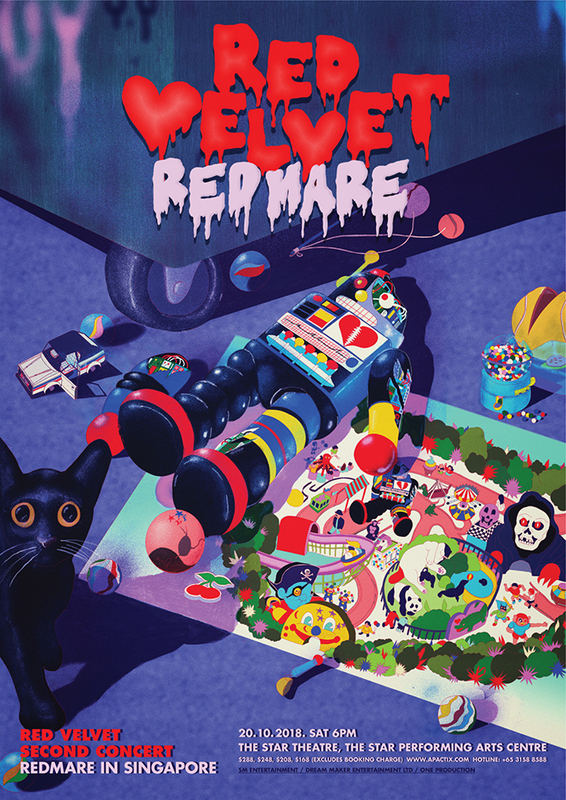 After two sold-out shows in Seoul on 4 and 5 August, it was announced that the girls will be heading overseas for their REDMARE tour. 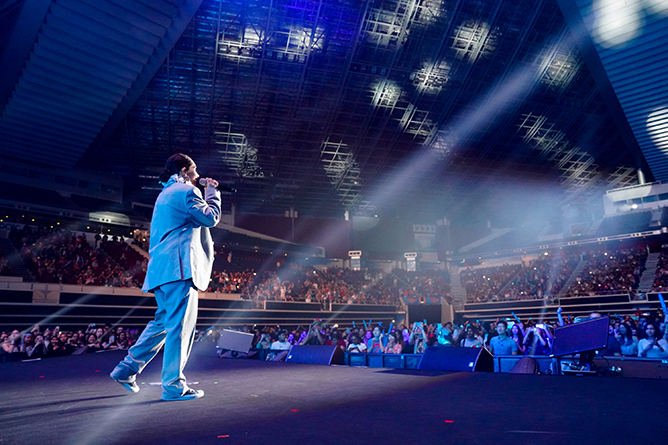 Initial reports stated that they will be starting off in Bangkok on 8 September, followed by Taipei and Singapore. More locations will be revealed later on. 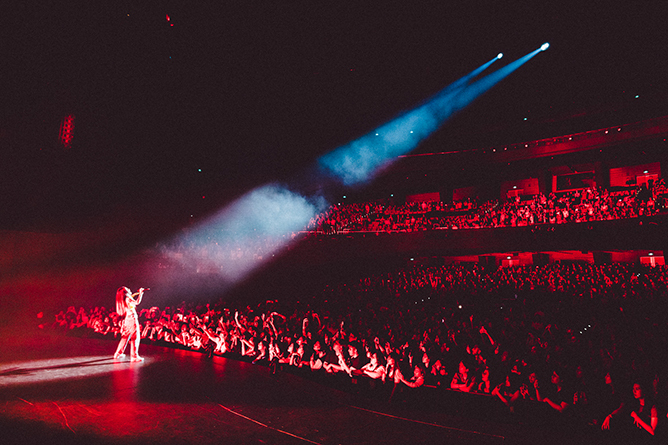 This tour announcement comes right on the heels of their recent upbeat anthem ‘Power Up’, which has since earwormed its way to the top of the charts with their refreshing vocals, infectiously catchy hooks and addictive choreography. If there’s anything Red Velvet is known for, it’s their penchant for churning out inescapable summer smashes – think ‘Red Flavour’, ‘Dumb Dumb’ and ‘Ice Cream Cake’ – and they certainly didn’t disappoint with their latest comeback. We can’t wait to belt out to their biggest hits when they come to town! Tickets will go on sale 8 September, 10am via APACTIX. For more information, just hit up the folks at One Production here!